It’s one of the UK’s major deep-water estuaries – a majestic 40-mile long inlet, spanned by a bridge that is recognisable around the world. The Humber is also a powerful economic force. The Humber ports are the UK’s busiest trading complex and the access the estuary offers to Europe and beyond has been the key factor in establishing major industrial clusters along its banks. But the critical importance of the Humber to UK Plc has often been unrecognised or underestimated. Not now. Twenty years ago I moved to the region to become Editor of the Hull Daily Mail and was struck by the area’s strengths – none more so than the estuary itself, the natural asset that is central to the Humber’s remarkable rejuvenation. I also felt this was a place of great potential. I met so many positive, enterprising people on both banks of the Humber and it was clear there was a deep desire by private and public sector leaders to come together to realise the region’s exciting opportunities. That shared commitment has driven an extraordinary resurgence that has gathered an unstoppable momentum. So how has the Humber become a place where investment prospers, new industries flourish, and economic, social and cultural regeneration go hand in hand? In part, it comes from an appreciation of the Humber’s geographic advantage. Rather than being seen as distant, the region’s leaders recognised our location as a major plus. This is no better illustrated than in the Humber’s access to the vast offshore wind farms being constructed in the North Sea. Proximity to this huge market was the key factor behind Hull’s biggest-ever inward investment. Global wind power leader Siemens Gamesa’s vast offshore wind manufacturing, assembly and logistics facilities opened in 2016 and are now seen as the global benchmark for an industry growing at a dizzying pace. Ørsted, the world’s biggest offshore wind farm developer, is investing no less than £6bn in offshore wind power infrastructure, supported from the Humber, where Grimsby has become a major centre for operations and maintenance. The Humber recognised the offshore wind opportunity and matched it with a bold ambition. Sights were set high – the Humber could be not just part of the offshore renewables growth story; it could lead it. To support this, the University of Hull is working with Siemens Gamesa, Ørsted, the National Oceanography Centre and others to drive innovation in the industry. 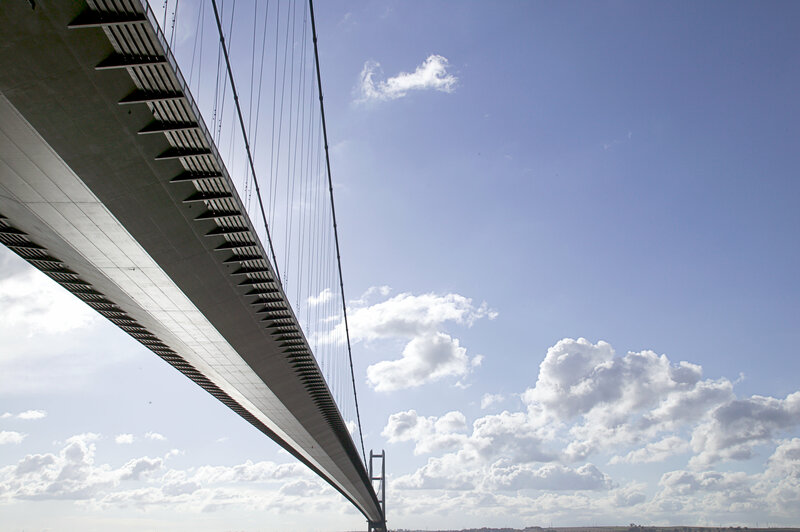 The vision was for the Humber to combine existing assets – ranging from the ribbon of petrochemicals installations on the south bank of the estuary to the UK’s biggest power producer, Drax, a few miles up the M62 – with new opportunities, under the powerful brand of the UK’s Energy Estuary. That vision is being realised, with the Humber critical to the drive to establish energy resilience and security for the UK. But the Humber’s story is much more than energy. The region has world-class credentials in sectors ranging from healthcare, to ports and logistics, food and the creative industries. The region’s roll call of blue chip investors is remarkable. Health and hygiene giant RB is creating a £105m Centre for Scientific Excellence in Hull, the largest single investment in the company’s history. Global medical technology business Smith & Nephew has invested £50m in its Hull facilities, including a state-of-the-art research and development centre. Grimsby is acknowledged as Europe’s Food Town and has seen huge investment by some the food industry’s biggest names, such as Young’s Seafood. Siemens considered more than 100 locations for its wind power facilities before settling on Hull. The region pulled out all the stops to secure that game-changing investment. Now, Siemens has earmarked the region for its next new factory, to build and commission trains, at Goole. All these investors see a region continually developing the infrastructure to underpin their success. The University of Hull – the Humber’s university – tells the region’s investment story in microcosm, with £300m of investment in state-of-the-art facilities on campus to support first-class learning and research. The University’s evolution extends well beyond physical change, to working with partners to drive business growth and innovation. Hull-based communications provider KCOM has ploughed £85m into a future-proof full fibre broadband network as a platform for business growth and innovation. That’s a key facet of the region’s fast-growing digital economy, recognised in the Tech Nation 2017 report as one of the UK’s hottest digital centres. The same bold ambitions that apply to economic development characterised Hull’s hugely-successful year as UK City of Culture 2017. An extraordinary 365 days of cultural events and performances transformed the city’s image and acted as a powerful catalyst for investment and job creation. Living in the region means you are never far from rolling countryside or rugged coast and now exciting developments are broadening choice in the local housing stock. The Lincolnshire Lakes development of more than 6,000 new homes in north Lincolnshire is one of the UK’s largest residential schemes. Meanwhile, contemporary city living is a key element of Hull’s first urban village in the Fruit Market waterside quarter and a rash of conversions of commercial premises are meeting new demand to live in the regenerated heart of the city. Oh, and I must mention that the region offers an amazing combination of highly affordable living costs and exceptional quality of life. With career opportunities flourishing, that means we retain local talent and become ever more attractive for highly-skilled professionals to relocate. These lifestyle and affordability advantages combine with collaborative campaigns by education and business to provide a pipeline of young talent for the fast-growing digital and creative sectors and to address the need to replenish the workforce in industries such as engineering. The Humber is developing the skilled workforce required for growth today and into the future. Crucially, the region speaks with a consistent voice. Marketing Humber delivers that voice, working with the Humber Local Enterprise Partnership and other key organisations. This supplement, supported by Marketing Humber, the University of Hull and other partners, is a prime example of that work. For the Humber, the tide has turned and it flows with investment, innovation and opportunity. Now is our time. This article was first published in The Times, in an “Investing on the Humber” special supplement. Read the supplement here.